Win a Carbon Monoxide alarm. If you've not checked out my Gas Safety Post here, I advise you all to do so. Gas is something we dismay so many times, but it's a killer and massive health risk. 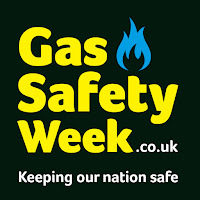 This week is Gas Safety Week, and after so many of us check in for our annual gas checks, I have the perfect prize to giveaway! I have one Carbon Monoxide alarm to giveaway to one very lucky reader/visitor of Unique Young Mum. Carbon Monoxide (CO) is a colourless, odorless deadly gas. Due to the fact that you can't see, taste or smell it, Carbon Monoxide can kill you before you even know it's around. Everyone is a risk of Carbon Monoxide poisoning, however, experts believe that individuals with greater oxygen requirements such as unborn babies, infants, children, senior citizens and people with coronary or respiratory problems are at greater risk. Carbon Monoxide alarms not only notify you of CO from boilers, but also from car exhaust, ovens, bbqs, open fires, blocked chimneys, broken flues and anywhere else the gas may be present. Please note: You must follow or like Unique Young Mum and Corgi on at least one social media platform! To find out more about Corgi, and to check the services they offer, check out the official website here.